There are many people who are suffering from haunted room. Some are aware and came out of it but some are suffering due to this but not aware of this. Here In this article I am going share facts about haunted room and the remedies. It is not a special type of room but in fact it is a part of house, office, factory, bunglow in which a person feels strange. Also a special type of fear feel by the person who enter in that room. Some feel a special type of smell, Some faces frightening dreams, Some also finds scattered things. Some feels the shadow and some feels the touch as some one touched him. So abnormal type of environment is found in haunted room. It is also found in research that some person become ill while living in a particular room, Relations between husband and wife gets suffered, Insomnia attacked, etc. It is necessary to observe the happenings in a particular room to confirm that whether it is haunted or not. How To Find That Any Room Is Haunted? Observe carefully that do you feel any type of presence in that room which is not visible. Do you find any type of strange smell or you may feel that smell at a particular time. Do you face any problem while entering in a particular room. Do you face bad dreams in any particular room. Disease is not leaving you. Is your smooth relation is suffering after entering in a particular room. Is any type of voice you feel in a particular room. By observing carefully you will get the answers of your doubt. And after that you have to take some special remedies under guidance of expert. Do sprinkle holy water daily in the morning and evening in the room. Do install a Siddha Mahakali yantra in that room. Do burn a camphor 2 times in the room by remembering goddess mahakali. Sundar kaand paath in that room is also helpful. Do proper cleaning in that room regularly. Don't put any mirror on that room. Consult expert to know the other best way for you. Wear a siddha kawach to protect your self and your family from negative energies. Don't fear if any abnormal activities are happening otherwise it will be very difficult for you to over come from this. Face boldly every situation and soon you will be out of your problems. 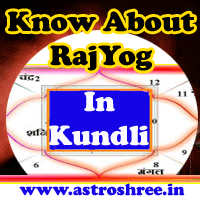 For any type of haunted problems you can consult ASTROSHREE ASTROLOGER. Get siddha yantra for protection, get kawach for protection. 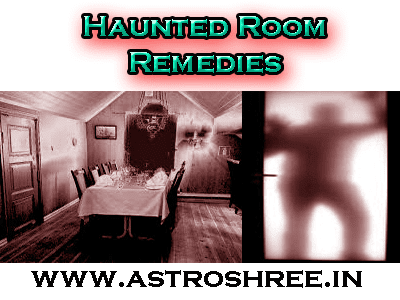 Remedies for haunted rooms, how to to find that room is haunted, Symptoms of haunted rooms, Best solutions for haunted rooms, how to protect our self from haunted room?